We have been hearing about the Intel-AMD chipset and were even given a glimpse of some of its capabilities when it was mistakenly listed last week. And now Intel and AMD have officially announced the much-anticipated joint chipset at CES 2018. 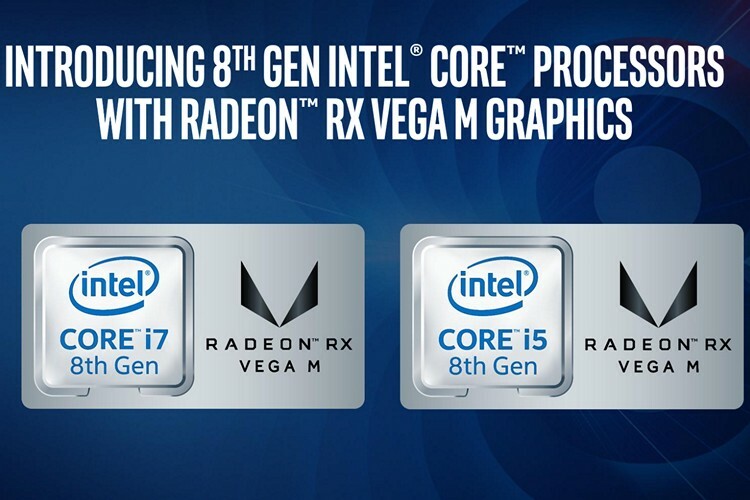 The top end of the line-up is the Core i7-8809G CPU with a Radeon RX Vega Graphics chip and Intel is billing them as ‘Intel 8th Generation Core with Radeon RX Vega M Graphics’ in marketing material. 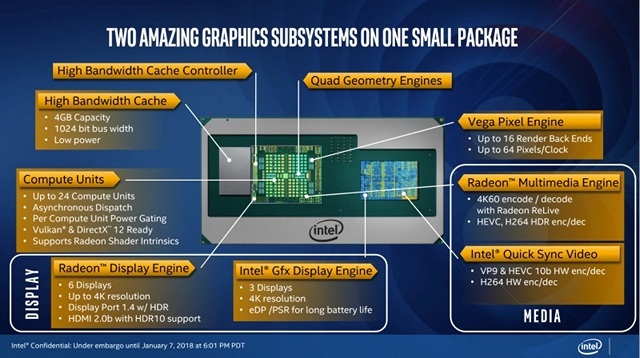 According to the press release from Intel, the processors are based on Kaby Lake architecture and will come in two distinct configurations. Intel further claims performance boosts thanks to the bride design of the new processors. “At the heart of this new design is EMIB, a small intelligent bridge that allows heterogeneous silicon to quickly pass information in extremely close proximity. EMIB eliminates height impact as well as manufacturing and design complexities, enabling faster, more powerful and more efficient products in smaller sizes. This is the first consumer product that takes advantage of EMIB,” the company said. 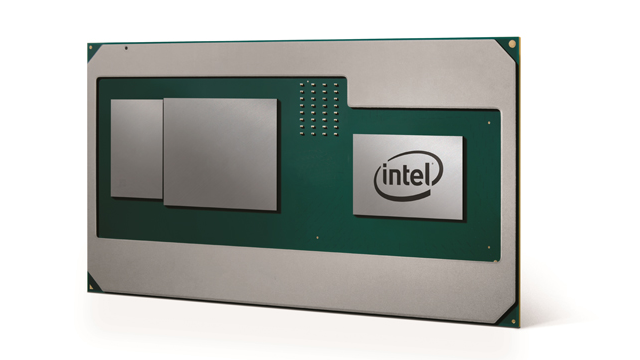 The new hybrid processors will also soon find their way into a bunch of new products to be launched by various OEMs. While Dell and HP are expected to launch 2-in-1 laptops powered by these chips, Intel itself has already gone ahead and unveiled a couple different models of its enthusiast-grade NUC PC featuring the new processors. 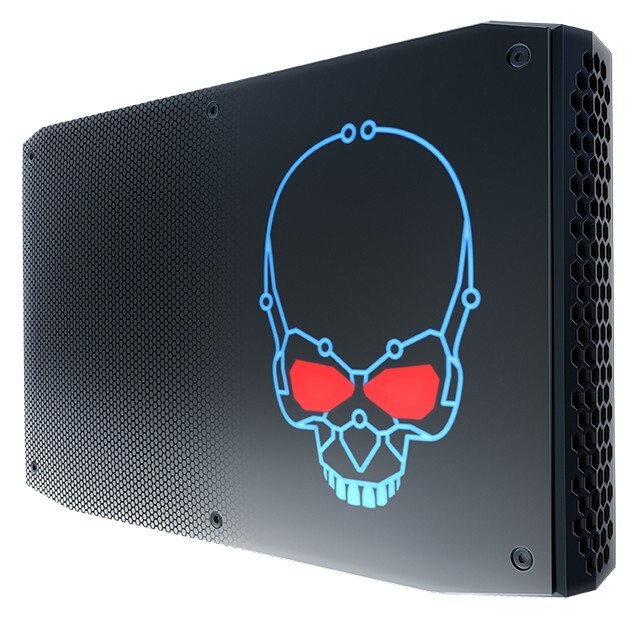 While the more powerful one of the two (NUC8i7HVK) is powered by the Core i7-8809G, the other model (NUC8i7HNK) comes with the i7-8705G under its hood. Intel is marketing the former as its “smallest ever” VR-capable PC that it says should be able to hit 60 fps at 1080p in most games.